Magnolia Animal Hospital is a full service veterinary facility dedicated to the health, happiness and well being of your pet. Each of our patients becomes a part of our family, and receives uncompromising service and genuine concern by our staff, because we believe it begins with caring. We strive to provide our patients, clients and community with the quality care they expect and deserve. Our facility provides many services. Some of the services we provide are: surgery, dentistry, grooming and boarding, all at an affordable cost in a comfortable family atmosphere. 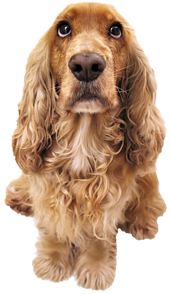 Because your pet is a part of your family and ours we understand and are determined to treat your pet with the care and compassion they deserve. Our patients become a part of our family and receive uncompromising service from our staff. We strive to provide our patients, clients, and community with the quality care they deserve. For more than 20 years, Magnolia Animal Hospital has served thousants of satisfied patients. Our facility provides many services at an affordable price in a comfortable atmosphere, including pet grooming and boarding. Because your pet is a part of your family and ours, we understand how much they mean. We are determined to treat your pet with the care and compassion they deserve.